Preheat the oven to 450 degrees. 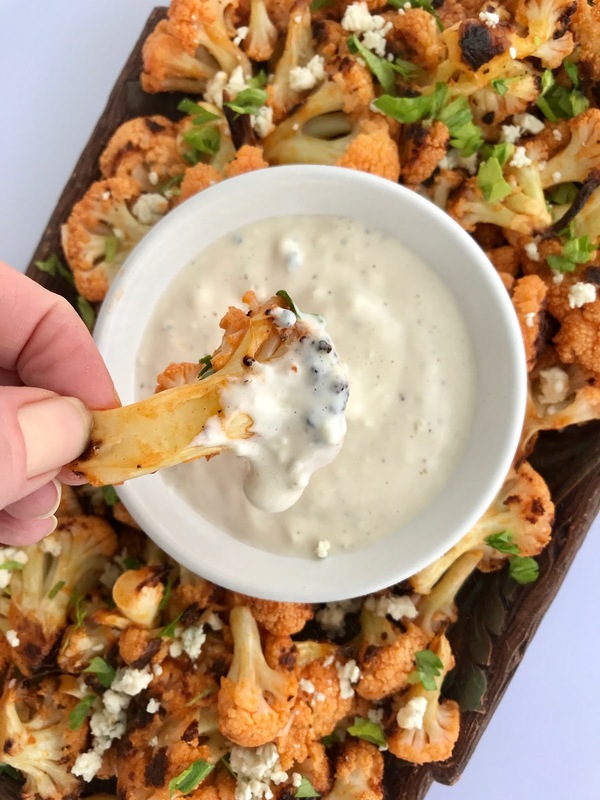 Toss the cauliflower and olive oil and a little salt and pepper together on a rimmed baking sheet. Roast for 10 minutes, then flip over the cauliflower and roast another 12-18 minutes, until fork tender. 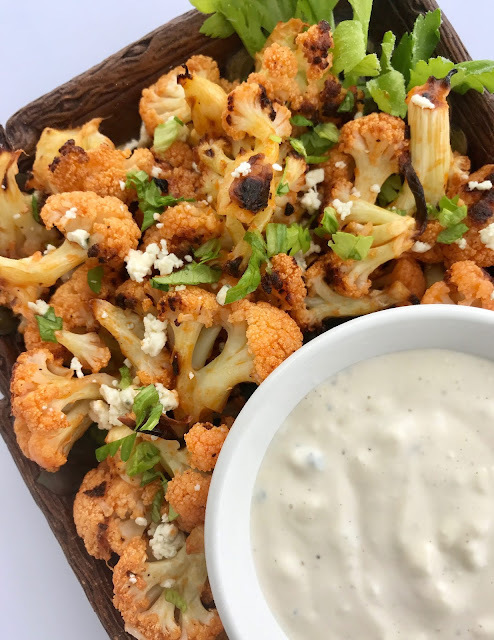 While the cauliflower cooks whisk together the hot sauce, butter, and garlic powder along with a pinch of salt in a large bowl. Prepare the dressing in a small bowl by whisking together the mayonnaise through black pepper and then stirring in the blue cheese. Season with salt, as desired. Refrigerate until serving. When the cauliflower is done place it in the bowl with hot sauce mixture and stir until well-coated. Transfer the cauliflower to a large platter and top with extra blue cheese crumbles and celery leaves, if desired. Serve with chilled dressing. Love buffalo flavours! This is such a delicious and healthy dish. I really like this! Loaded with flavor, and reasonably healthy. Winner! I just love that this is a healthy twist on classic snacks! And spicy food is always a hit in my house. Buffalo Cauliflower is one of my favorites! Delish! I go through waves with my veggies. Right now I'm on a huge cauliflower run. This sounds like such a yummy recipe. Yum! 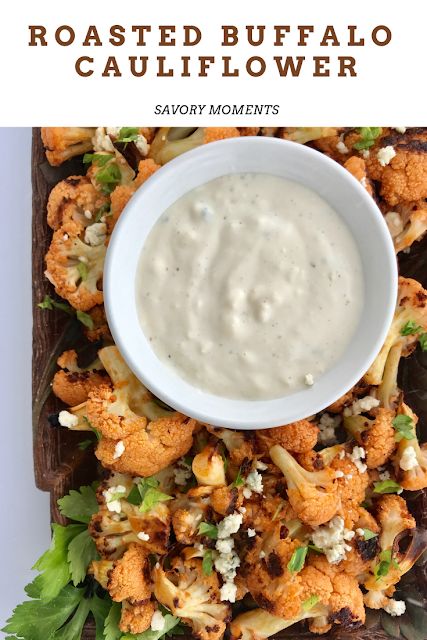 Buffalo cauliflower is one of my favorites! Can't wait to try this recipe. That looks so delicious. I'm not a big cauliflower fan but I do like spicy food so I'll have to give this a try. Looks so yummy while being healthy! Can't wait to try! This looks delicious and is healthy! Maybe I will be able to get my family to actually eat their veggies (without having to fry them) thanks!